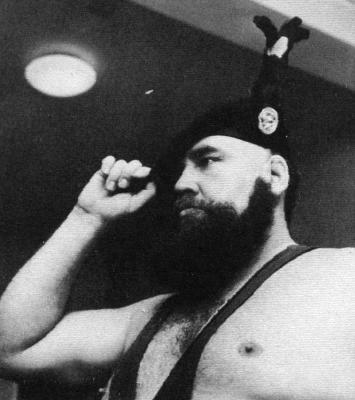 Ian Campbell was born in 1924 in Dunfermline, Scotland and was a giant of a man weighing in at 20 stones and standing at 6ft 3' and was one of the greatest heavyweight wrestlers of his generation. Although Ian had already carved out a successful career for himself in the UK he was one of the rare wrestlers who crossed the pond to the USA in the 1950s where he was befriended by a man who was later to become World Heavyweight Champion in 'Nature Boy' Buddy Rogers. 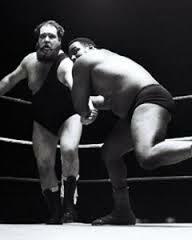 Apart from his frequent tours of America Ian was also a visitor to Japan, Australia, Africa, Asia and to various European countries where he had a modicum of success in both singles and tag team competition. It is believed that throughout his career Ian had in excess of 25 tag team partners around the world. 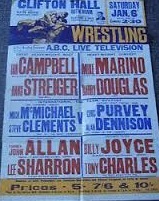 On the 4th May 1966 Ian became the British Heavyweight Champion when he defeated Billy Joyce in a match held in Perth, Scotland, at this time there were a number of heavyweights who were worthy of this honour but Ian was victorious but only held the title for one month before losing it back to Billy Joyce. Ian was never to hold the title again. Due to his international tours it was not unusual for Ian to be absent from the UK for several months of the year. However, on one occasionwhen in the UK Ian had a surprise call from Granada television asking him to appear in the biggest show on British television, Coronation Street. 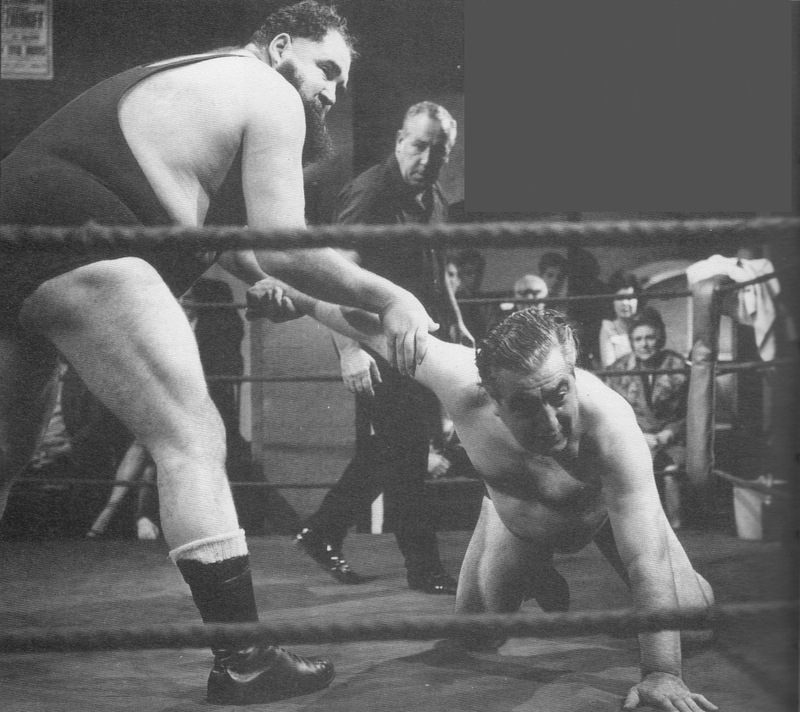 The programme was due to film a wrestling scene and Ian was required to wrestle one of the biggest stars of the show in Bernard Youens who played lovable layabout Stan Ogden. Ian played his part to perfection and it is still shown in compilation shows today. Ian would enter the ring on many occasions accompanied by the bagpipes. For most of his career, although a very skilful wrestler Campbell would often bend the rules but this just endeared him to the fans even more although towards the end of his career his rulebending did cease and he showed the fans that he was infact capable of wrestling a clean match. Outside of the ring Ian was a great charity worker, something that he never made an fuss about or wanted any recognition for although many of his fans were fully aware of the good work that he did. We are sure that if Ian had spent more of his career in the UK then more titles would have certainly come his way. However, there were very few Britons at the time who had such a successful international career, his name was known worldwide and we feel that he fully deserves his place in the Hall of Fame. Ian Campbell passed away on the 10th January 1993.